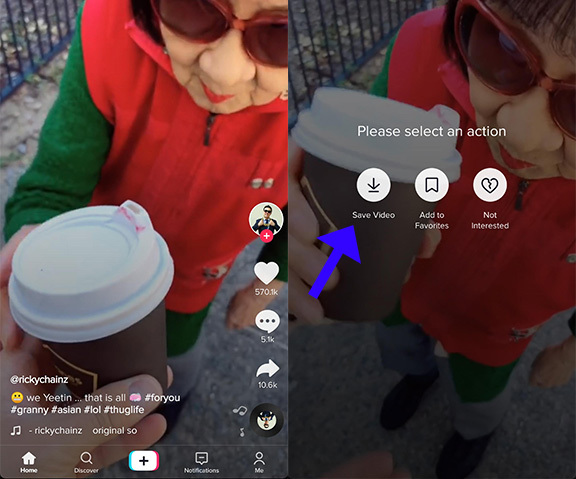 Tiktok is a relatively new social networking app that was created from the formerly musical.ly app. It was bought in August of 2018 by a Chinese company called Bytedance where they then re-branded the app to TikTok. The app is quite popular with over 100 million monthly users. 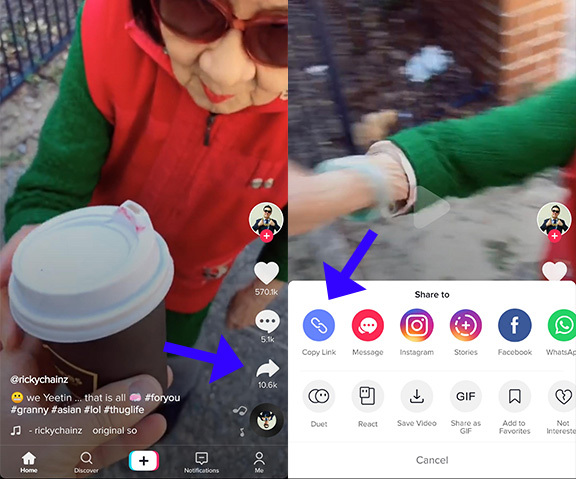 You can use Tiktok to share short video clips of up to 15 seconds long. The most popular clips on the platforms being of people lip syncing or dancing. Of course, there is other content on the platform, but the original musical.ly app was for music related videos. If you’re like me, then you likely have several social media accounts such as Facebook Instagram and Twitter. Occasionally I’ve wanted to repost the videos that I make through the TikTok app on my other social media pages. Thankfully there is a way to download these videos directly from within the app. And today I’m going to show you how to do that. The very first thing you will need to do to download a video is, of course, find the video that you want to download. Pop open the TikTok app and go to the video you’d like to download. Once you’re on the video, you can press and hold on your screen for a few seconds which will bring up a dialog box. You will see an option to “Save video” in the dialog box. Click this, and the video will save on your device. This method works great, and I’ve used it many times before. It’s built into the TikTok app which is nice. Other social media websites don’t allow you to download videos from their platforms at all. The only problem with doing it this way is that any video downloaded like this has a TikTok watermark on it. When it comes to sharing my videos on my other social media platforms, the last thing I want is a TikTok watermark on them. Thankfully I have found a solution to solve this problem allowing you to download any public TikTok video without a watermark. Here’s how to do it. Start by finding the video that you want to download. Once you’ve found it click on the share icon on the right side and then click on the “Copy link” button which will save the video URL to your clipboard. 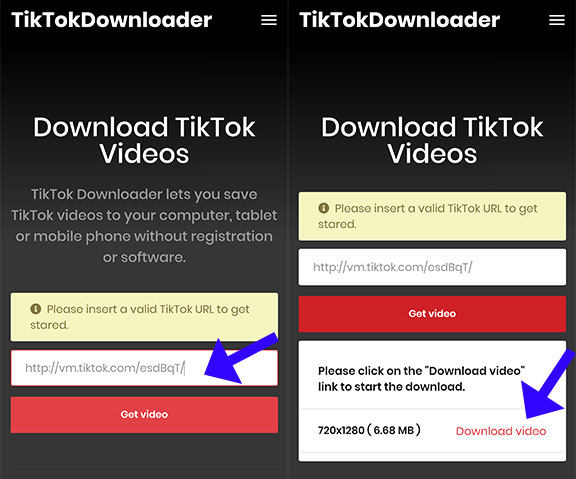 Head over the tiktokdownloader.net and paste the video URL into the form on the homepage, clicking the “Get video” button once pasted. The website will process the video and a download link will appear. Following either method mentioned above will work to get you any TikTok video. Of course, if you want to download them without a watermark then only the second option will work. If you know of any other ways to download TikTok videos let us know in the comments section. Happy downloading!